This is where a person behaves in a passive aggressive manner to convey their anger or grievance by ignoring/not speaking to the victim. Often used by narcissists, silence can be a form of emotional abuse and as such it is unacceptable. Often, the person giving the silent treatment does so because they want (consciously or unconsciously) their victim to feel unworthy, to appease them, or to feel guilty about something. Alternatively they may want their victim to apologise for something, even though they often choose not to clarify what is actually wrong! A person who is repeatedly on the receiving end of cold shouldering can wind up feeling resigned to being isolated, intimidated, insignificant and/or despondent. Other times, the victim may feel angry, defiant, resentful and/or vengeful. Over time they can become totally worn down, but no-one should have to endure such conduct. In a family situation, the uncomfortable atmosphere created when parents are intermittently but persistently not speaking (which may ultimately lead to separation or divorce) can negatively affect children. Additionally, emotional stress brought about by persistent silent treatment can affect physical health. 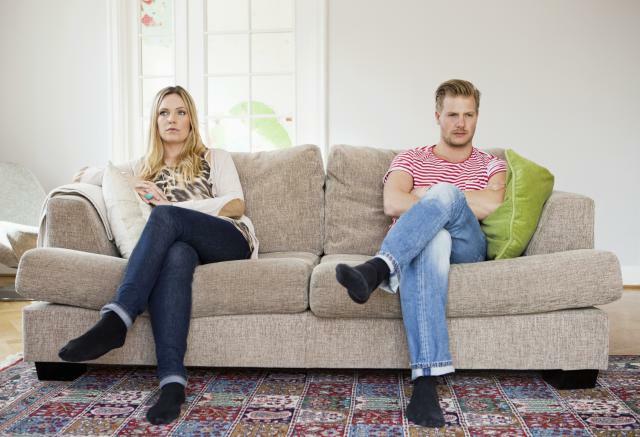 Following a disagreement or awkward episode, time limited periods apart and silence can be a good thing, as it allows both parties to calm down. In the case of a cooling off period it’s good if one party can suggest a time when they can come together to resolve the issue as necessary. However, do note the silent treatment differs from a cooling off period in that its duration is unknown and overly extended. As such, it is not recommended that the victim approach a silent treatment perpetrator with a time/date to sit down and discuss matters. Doing this might seem like a good idea if you are being dealt the silent treatment but it is the writer’s belief that this tactic does not work when dealing with an habitual silent treatment abuser, since they see it as their victim capitulating, in which case it only serves to feed their control and manipulation tendencies. Some victims have noted their abuser becomes notably happier the more worn down and miserable they become. In order to cope, the victim must appreciate that a silent treatment abuser thrives on observing the negative effect they have on their target. Therefore it is necessary to stop “feeding” their desire for control and power. This means NOT giving them the satisfaction of seeing the negative emotional effects of their immature behaviour. They can derive a great sense of self importance and triumph if you get irate, annoyed, upset, capitulate/apologise, weep or plead with them to talk to you. Whether or not the reason for the cessation of normal communication is known, starve them of these rewards for their unjust behaviour and they will likely eventually tire of engaging in the silent treatment and revert more quickly than usual to their normal demeanour. Some people who give their partner the silent treatment feel they are justified in doing so because their partner has been physically, emotionally and/or verbally abusive towards them. For the long term, silence is unlikely to enhance the relationship and it is no guarantee of making the abuse stop. Thus the root cause for why someone feels they have no alternative but to become silent must be addressed, and it is wise to seek the help of a competent professional to help deal with such issues.